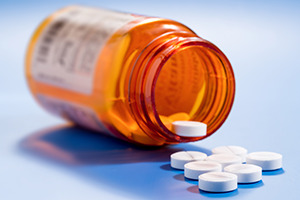 Whether you are buying a car or an over-the-counter drug, you expect it to be safe. However, not all manufacturers put the appropriate amount of care into designing, manufacturing, and marketing their products. Sometimes the injuries from a defective product are quite severe and painful, requiring emergency treatment, medical care, and time off from work. You may need to recover compensation for these losses. Depending on the circumstances, manufacturers and others in the chain of distribution may be held accountable. If you have been hurt as the result of a defective item in Dallas, you should consult the experienced product liability lawyers at Moll Law Group. In Texas, a product liability plaintiff must prove that the item at issue is defective, the item came to him or her without any substantial change in its condition, the defect made the product unreasonably dangerous, and the defect caused the plaintiff's injuries and damages. The plaintiff needs to specify whether the defect is one of design, manufacturing, or marketing, or a combination. Each of these defects requires an additional element of proof. With respect to design defect claims, the plaintiff needs to prove that there was a safer alternative design. With respect to manufacturing defect claims, the plaintiff must show that the product deviated from the intended design. With respect to marketing defects that arise out of a failure to warn, the plaintiff needs to show that there was a lack of adequate warnings. In most cases, it is necessary to retain one or more experts to testify on these elements in order to establish them. The expert's opinion cannot be based on speculation, too many stacked inferences, or conjecture. In many cases in Texas, a manufacturer defendant may try to get a plaintiff's case thrown out with a summary judgment motion. Often, these motions will attack a plaintiff's expert and his or her testimony about the defects, so it is crucial to retain a credible expert. Dallas historically was a center for oil and cotton. Its economy today emphasizes technology, banking, energy, commerce, transportation, and health care. Dallas is home to more shopping centers per capita than any other U.S. city. If you are hurt due to a defective product in Dallas, the product liability attorneys at Moll Law Group are available to pursue a claim for compensation for your injuries. Our injury lawyers represent clients around the nation. Billions of dollars have been recovered in cases in which we were involved. Call us at 312-462-1700 or use our online form to set up a free consultation.